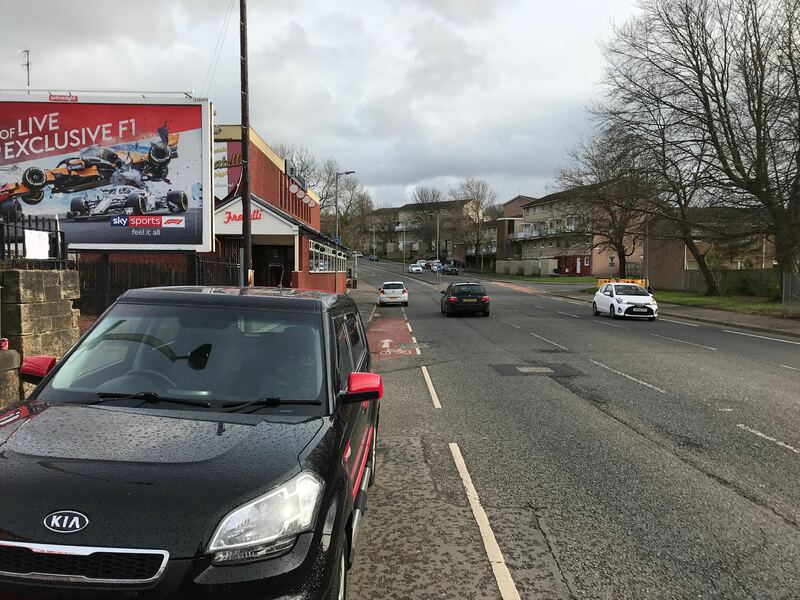 Main St, Cambuslang – meet outside Cambuslang train station. 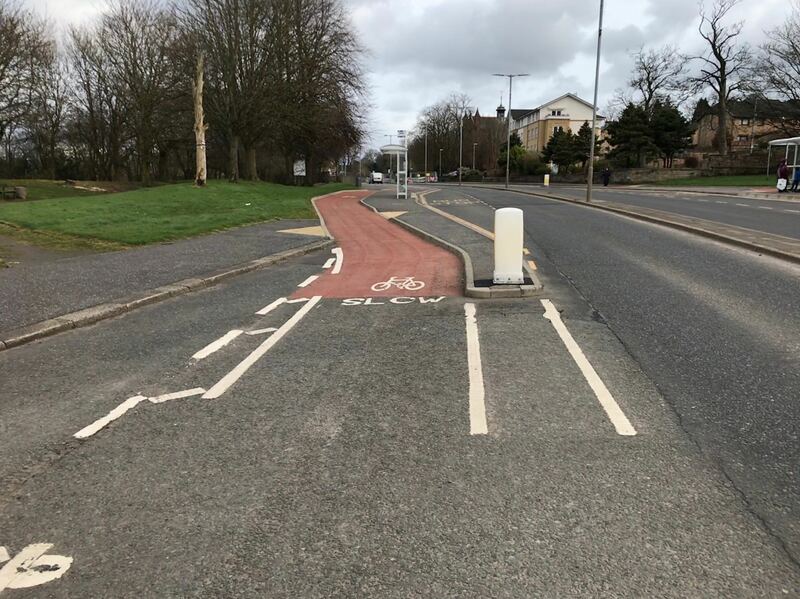 There is a lack of protected cycling infrastructure across South Lanarkshire in general. 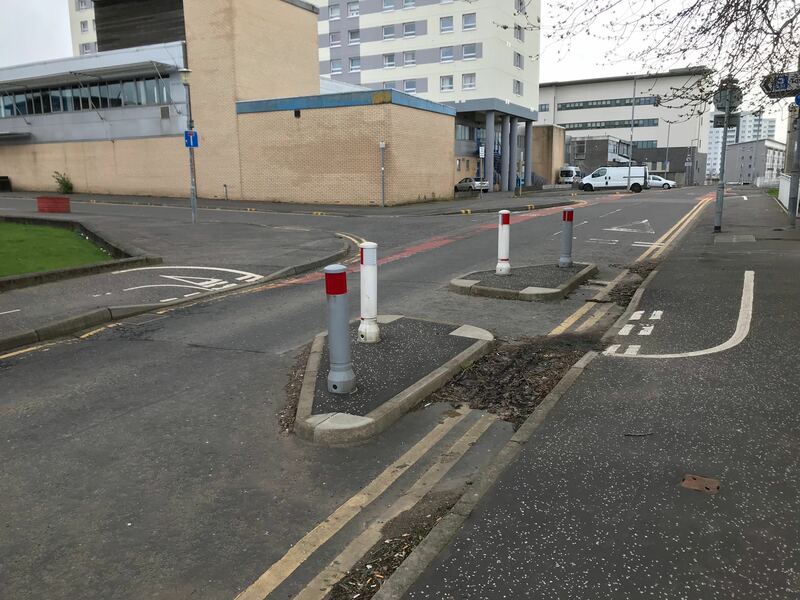 Near Main Street in Cambuslang alone, we see the following barriers. 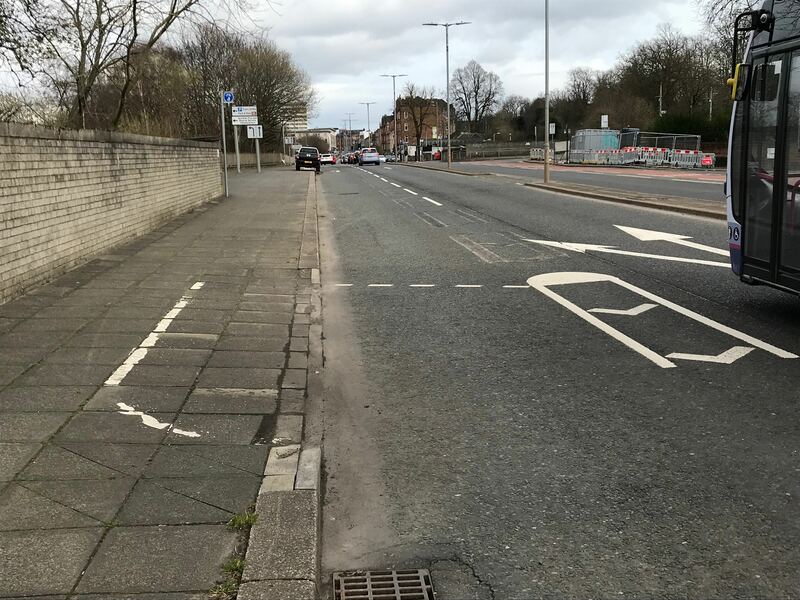 We have door zone lanes, and up the hill, more parking then a lane that goes into a bus stop bypass but with no segregation before it. 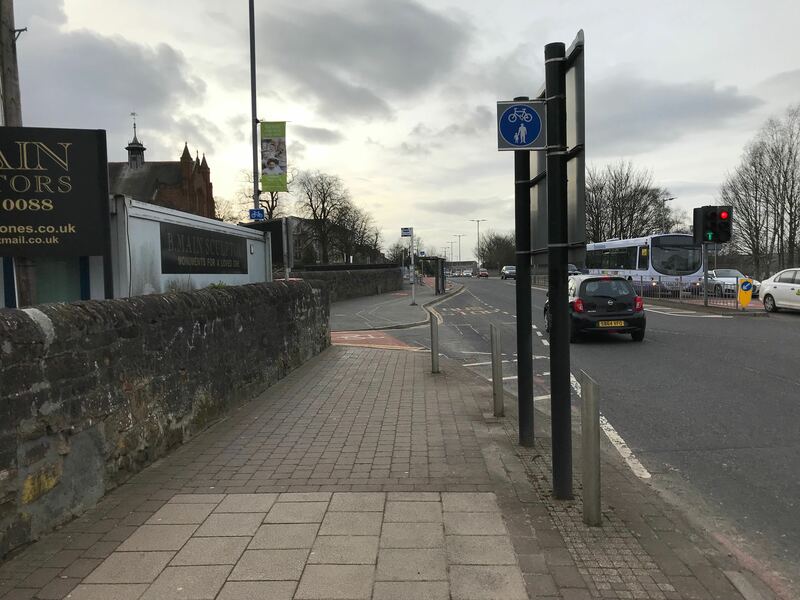 After the bus stop bypass, there is no segregation and the road lane stops, going onto a shared use pavement at the dual carriageway. 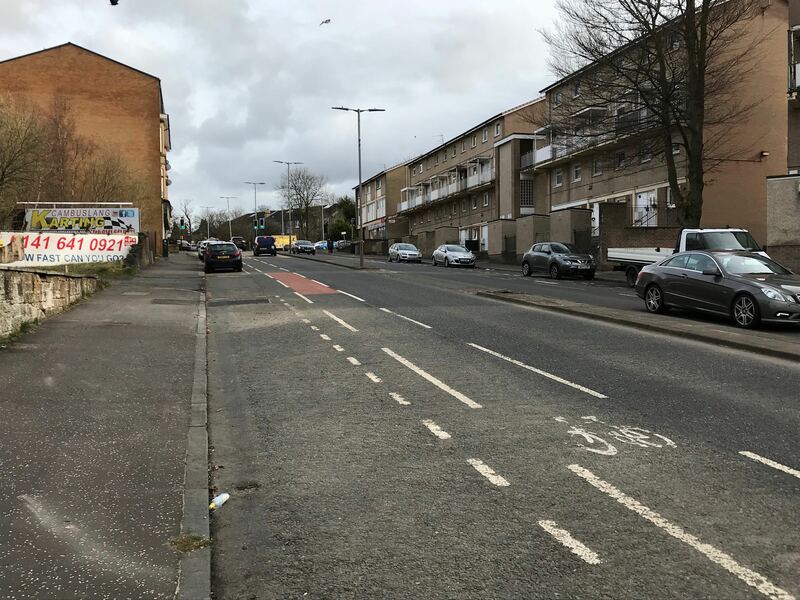 Looking the other way on Glasgow Road (west with the station behind you) there’s a mish-mash of shared use pavement around a side road. 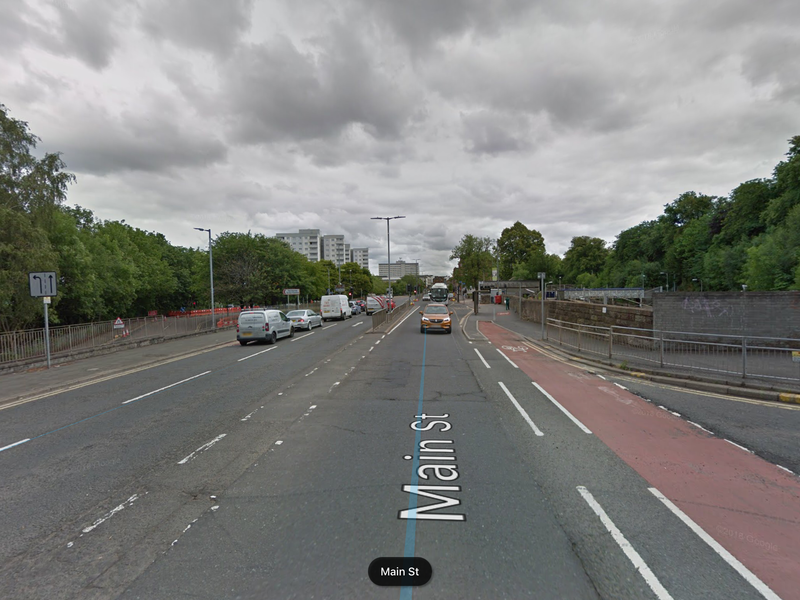 This goes behind a bus stop then turns into decent width lanes with a painted buffer. 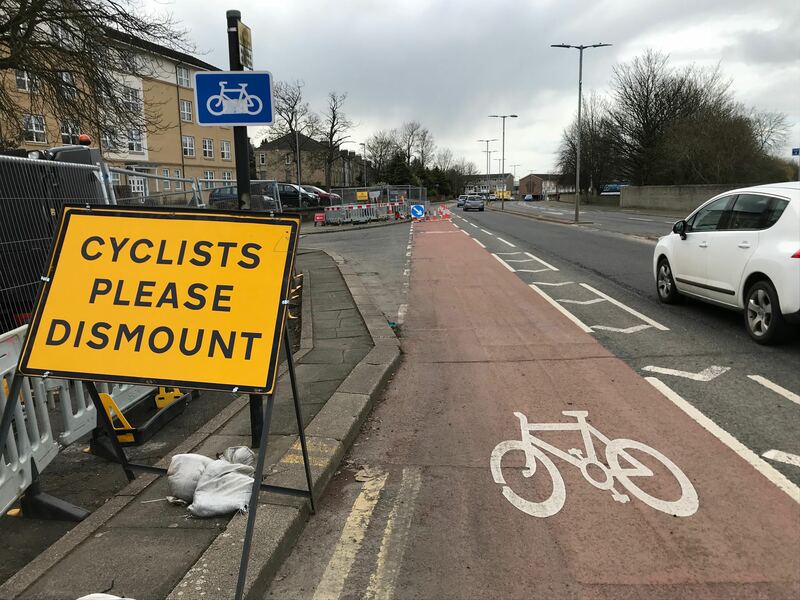 Here is a lane with painted a buffer heading westbound on Glasgow Road, featuring a classic roadworks dismount sign, and a dodgy wide sweeping turn side road entrance. 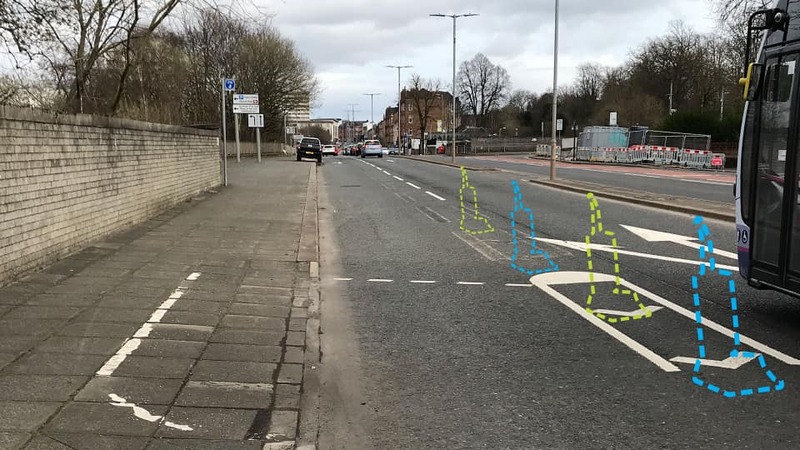 Upgrading lanes here with bollards could protect people cycling from ‘left hook’ collisions from motor vehicles cutting across them. 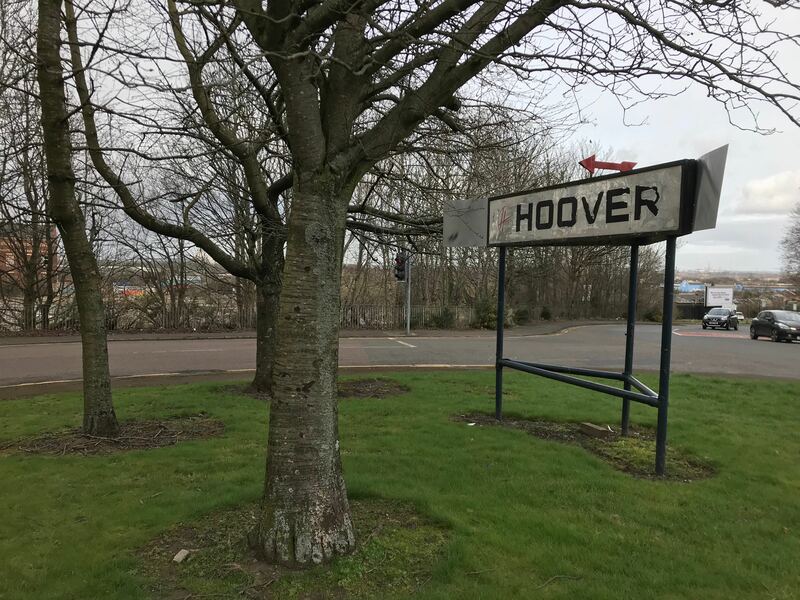 We plan to mark the edge of the painted bike lane with a row of toy vacuum cleaners (a nod to former the Hoover plant nearby). 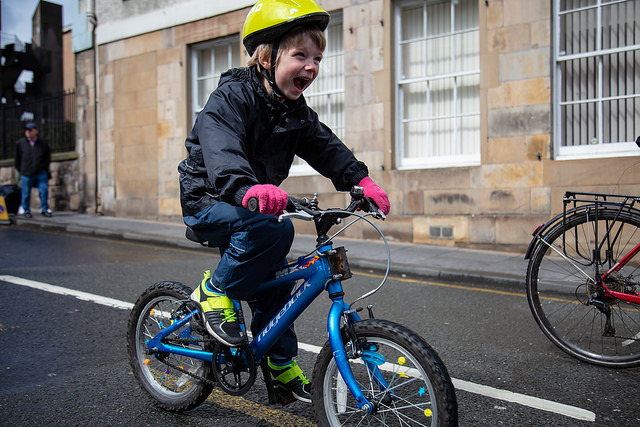 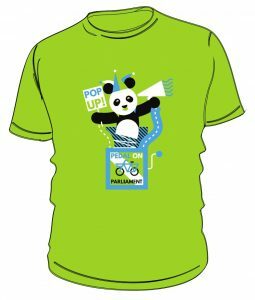 Join us to cycle in our pop up Hoover protected cycle lanes and let the authorities and planners know that we demand better and safer cycling infrastructure suitable for cyclists aged from 8 – 80!